Kansas City, Mo. 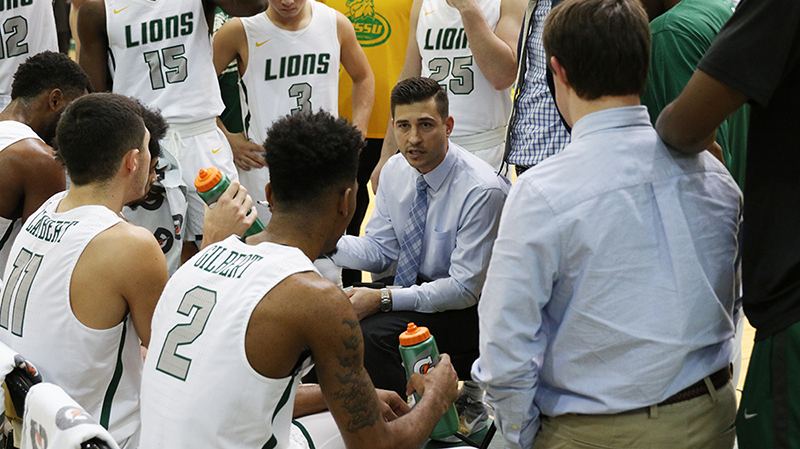 — Missouri Southern head coach Jeff Boschee has been named the MIAA Men’s Basketball Coach of the Year and CJ Carr has been named a first-team All-MIAA pick as the MIAA announced its end of the year awards today. Boschee has coached the Lions to a 20-win season for the second time in his four-year career. This year, the Lions were picked to finish sixth in the preseason coaches poll and the Lions finished the season second overall and had two wins against regular-season MIAA Champion Northwest Missouri. The Lions also snapped the Bearcats’ 49-game home winning streak in the process and over the past two seasons, MSSU has three of Northwest’s four losses. Boschee has helped coach the Lions to a No. 6 ranking in the NCAA Division II Central Region poll with a new poll to be released tomorrow, and the Lions will be making their 20th-straight appearance in the MIAA Tournament this weekend. Carr, this season, leads the MIAA in steals and assists, while ranking fifth in scoring and second in minutes. He also ranks 17th nationally in steals and 19th in assists per game. Carr is averaging 17.6 points, 4.3 rebounds 2.3 steals and 6.1 assists per game. He has also played every minute of the last seven games. This is Carr’s second All-MIAA honor as he earned second-team accolades last year. Carr also went over the 1,000 point plateau earlier this year and sits 20th all-time in scoring with 1,052 points. Clark, last year’s MIAA Freshman of the Year, followed up that stellar campaign with an even bigger year. Clark leads the MIAA in three pointers per game, three point percentage and total three pointers, while ranking seventh in scoring. This year, Clark is averaging 16.9 points and 6.6 rebounds, while also breaking his own school record for three’s in a season, currently with 104. Clark has the top-two single-season three-point totals in MSSU history and his 193 threes made in his two-year career rank fourth. His career three-point percentage of .431 is second-best all-time, while he also tied the single-game record for three’s made with nine. He has the season and career record for three pointers per game, while also holding the MSSU season and career record for consecutive games with a three. Clark has made a three pointer in every game this season and has made one in 45 consecutive games, dating back to January of 2017. Lambert is averaging 11.0 points and 5.0 rebounds this year, while adding in 29 blocks, which ranks ninth in the MIAA. Northwest Missouri’s Justin Pitts was the MIAA Player of the Year, while Washburn’s Brady Skeens was the Defensive Player of the year and SBU’s Chris Rossow was the Freshman of the Year. A complete list of each award is below. The Lions will play in the MIAA Tournament on Friday at 2:15 pm against tonight’s winner between Lindenwood and Fort Hays State.